Not to be confused with Michele Morgan (American actress). 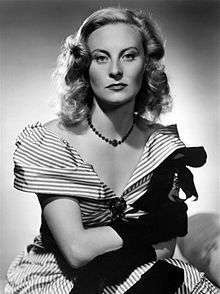 Michèle Morgan (French: [miʃɛl mɔʁɡan]; born 29 February 1920) is a French film actress, who was a leading lady for three decades. Morgan was born Simone Renée Roussel in Neuilly-sur-Seine, Hauts-de-Seine, a wealthy western suburb of Paris. She left home at the age of 15 for Paris determined to become an actress. She took acting lessons from René Simon while serving as an extra in several films to pay for her drama classes. Her beauty was noticed by director Marc Allégret who offered her a major role in the film Gribouille in 1937, opposite Raimu. Then came the film Le Quai des brumes by Marcel Carné in 1938, opposite the great French actor Jean Gabin, and Remorques in 1941. These two films established her as one of the leading actress of the time in French cinema. Upon the invasion of France in 1940 by the Germans, Morgan left for the United States and Hollywood where she was contracted to RKO Pictures. Her career there proved rather disappointing, apart from Joan of Paris opposite Paul Henreid in 1942, Higher and Higher opposite Frank Sinatra in 1943. She was tested and strongly considered for the female lead in Casablanca but RKO would not release her for the amount of money that Warner Bros. offered. Morgan did work for Warners in Passage to Marseille opposite Humphrey Bogart in 1944. Nothing major came her way. The war over, Morgan returned to France and quickly picked up her career with the 1946 film La Symphonie Pastorale by Jean Delannoy, which earned her the "Best Actress" award at the Cannes Film Festival. Other notable films include Carol Reed's The Fallen Idol (1948), Fabiola (1949), The Proud and the Beautiful (1953) by Yves Allégret, Les Grandes Manœuvres (1955) by René Clair, Marie-Antoinette reine de France (1956). Morgan continued working in films throughout the 1960s, notably in Lost Command, a 1966 film version of Les Centurions. In the 1970s, she virtually retired from her acting career, then made occasional appearances on film, television and theatre. For her contribution to the motion picture industry, Morgan has a star on the Hollywood Walk of Fame at 1645 Vine Street. In 1969, the government of France awarded her the Legion of Honor. For her long service to the French motion picture industry, in 1992 she was given an Honorary César Award. In 1996, she also received the Career Golden Lion for lifetime achievement at the Venice Film Festival. Morgan achieved her greatest popularity in French cinema during the 1940s and 1950s, although she is mostly unknown outside France. 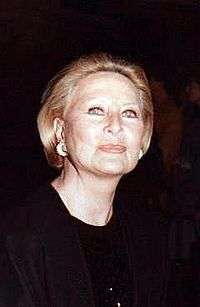 She published her autobiography entitled Avec ces yeux-là in 1977. She also paints and has done so since the 1960s. She often paints fish because a fish is her zodiac sign. While others were on the barricades in May 1968, she was painting abstract objects. She had a solo exhibition at the Paris gallery "Artistes En Lumière à Paris" (2 March – 30 April 2009). While in Hollywood, she married actor William Marshall (1917–1994), in 1942, with whom she had a son, Mike Marshall (1944–2005). Morgan and Marshall divorced in 1948. She married French actor Henri Vidal (1919–1959) in 1950. She remained with him until his unexpected early death in 1959. She then lived with film director and actor/writer Gérard Oury until his death in 2006. Morgan has six grandchildren and ten great-grandchildren. The Los Angeles house she commissioned in 1941 at 10050 Cielo Drive later became famous as the site of the Manson family murders in 1969. 1947 The Fallen Idol Julie Carol Reed with Ralph Richardson and Bobby Henrey. 1951 The Seven Deadly Sins Anne-Marie de Pallières Claude Autant-Lara episode "Pride"
1954 Love, Soldiers and Women Joan of Arc Jean Delannoy episode "Jeanne"
Crime Does Not Pay Jeanne Hugues Gérard Oury episode "The Hugues Case"
↑ "Simone Renée Roussel (Michèle Morgan)". Geneall.net. Retrieved 2008-12-29. ↑ "Michèle Morgan". Cinémathèque française. Retrieved 2009-07-20. ↑ Lanzoni, Rémi Fournier (2004). French Cinema: From its Beginnings to the Present. Continium International Publishing Group. p. 107. 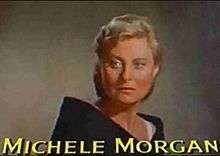 ↑ "Michèle Morgan". Films de France. Retrieved 2009-06-28. ↑ "Avec ces yeux-là (Broché)". Amazon.fr. Retrieved 2008-12-29. ↑ Beaune, Mathilde de (24 March 2009). "Michèle Morgan". Art and You. ↑ "Michèle Morgan, 89 ans, s'expose en couleurs!". Purepeople.com. 5 February 2009. ↑ "Tate/Polanski Residence, 10050 Cielo Drive". Archived from the original on 14 August 2007. Retrieved 2007-11-19. Lloyd, Ann (1987). The Illustrated Who's Who of the cinema. Gramercy. ISBN 0-517-64419-3. Cousins, R. F. "Michèle Morgan". Film Reference. Retrieved 2009-06-28. Wikimedia Commons has media related to Michèle Morgan.